MANILA, Philippines - It's all in the family. Aurora Rep Juan Edgardo "Sonny" Angara filed his certificate of candidacy on the morning of Wednesday, October 3, with his wife, son, and father, Sen Edgardo Angara, in tow. Angara was questioned on political dynasties, given the trend in the Philippines of family members running for politics, that have raised questions on keeping power among a handful of clans. 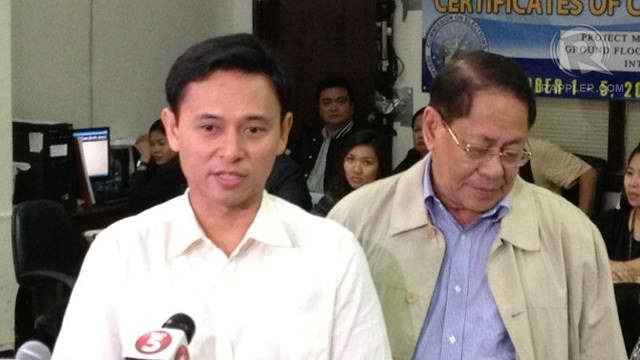 Angara didn't deny he was part of a political dynasty, but emphasized that theirs was different for an important reason. "I think we are a political dynasty pero ang difference yung sa amin is may legacy po kami. Nakaupo po kami ng siyam na taon, at siyam na taon iniinbitahan namin na inyong tingnan kung ano ang nagawa namin," he said. (We've been in power for 9 years and in those 9 years, we invite you all to dissect what we've accomplished). He is the son and namesake of Sen Edgardo Angara, who served as Senate President from 1993 to 1995, and first served as senator from 1987 until 1992. 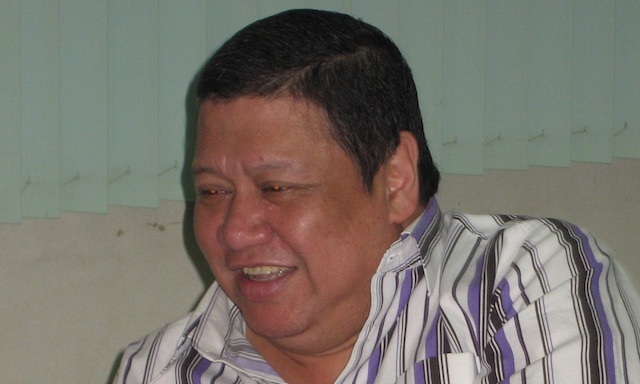 He served as a Cabinet secretary for President Joseph Estrada, and returned to the Senate in 2001. Rep Angara said that he found nothing wrong with political dynasties per se but urged voters not to vote for candidates -- including him -- according to their family name. "Naniniwala ako na hindi dapat natin iboto ang isang kandidato dahil sa kanyang pangalan dahil lang sa kanyang kamaganak, dahil lang sa kanyang asawa, dahil lang sa kanyang kapatid," he said. 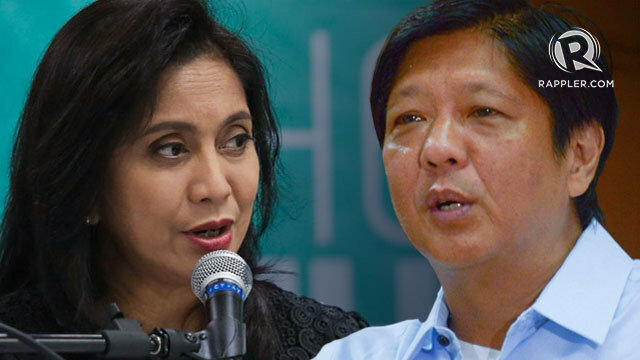 "Definitely this elections, 'wag nating bigyan ng libreng sakay ang mga political dynasties. Tingnan po natin ang [ginawa nila]." (I believe that we shouldn't just vote for a candidate because of his name, family, wife or sibling. Definitely this elections, let's not give political dynasties a free ride. Let's see what they have accomplished). Angara told reporters he would continue to focus on the same advocacies he has as a representative of the House, including the rights of Filipino families, workers, women and children. "As I have done in the House for the last eight years, I wish to pursue advocacies which would essentially crate and provide opportunities and sense of hope to our people from all walks of life," he said in the statement. Angara is on his third and final term in Congress. He is running under the administration's rainbow coalition that includes 5 parties: the Liberal Party, Nacionalista Party, Nationalist People's Coalition, party list Akbayan and Laban ng Demokratikong Pilipino.